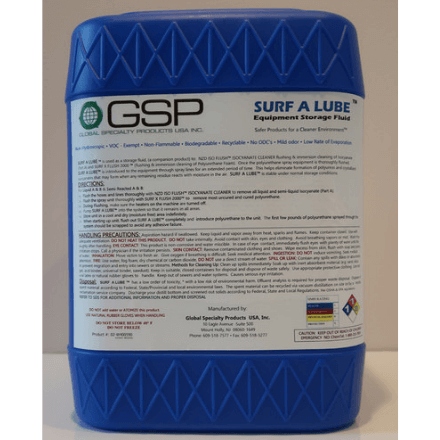 SURF A LUBE is a companion product to NZD ISO FLUSH and SURF X-FLUSH 2000. It is used to store urethane dispensing equipment for an extended period of time. SURF A LUBE is stable under normal storage conditions.SURF A LUBE is a companion product to NZD ISO FLUSH and SURF X-FLUSH 2000. It is used to store urethane dispensing equipment for an extended period of time. SURF A LUBE is stable under normal storage conditions.